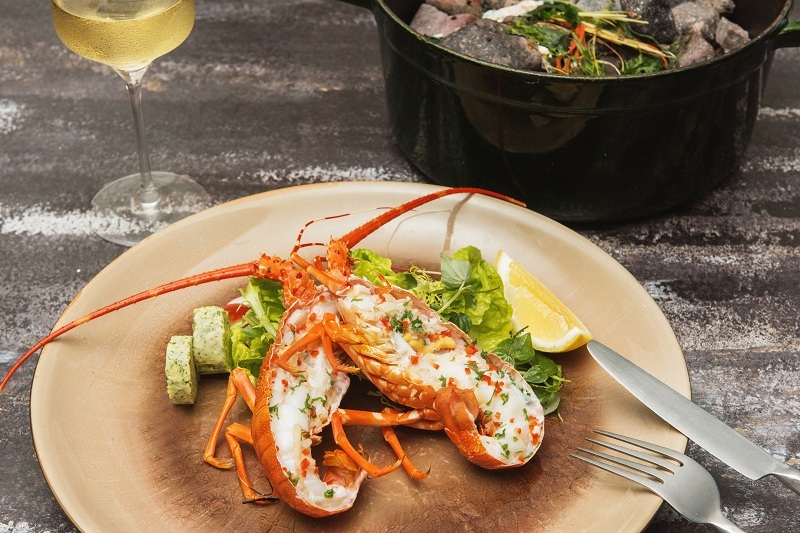 Pullman Danang Beach Resort unveils an exciting new menu at Azure Beach Lounge, focused on a sizzling selection of grilled meats and steamed seafood. 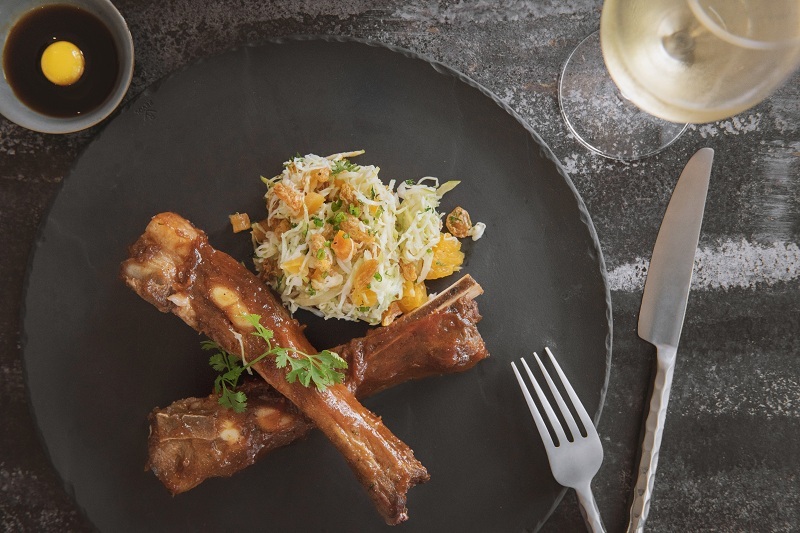 Dishes in the new “From the Grill” section of the menu include herb-rubbed chicken breast with polenta chips and salsa, grilled lamb rack with figs and potato gratin, duck breast with roasted shallots and fondant potato, and BBQ pork ribs with fruity coleslaw and spicy tamarind chutney. 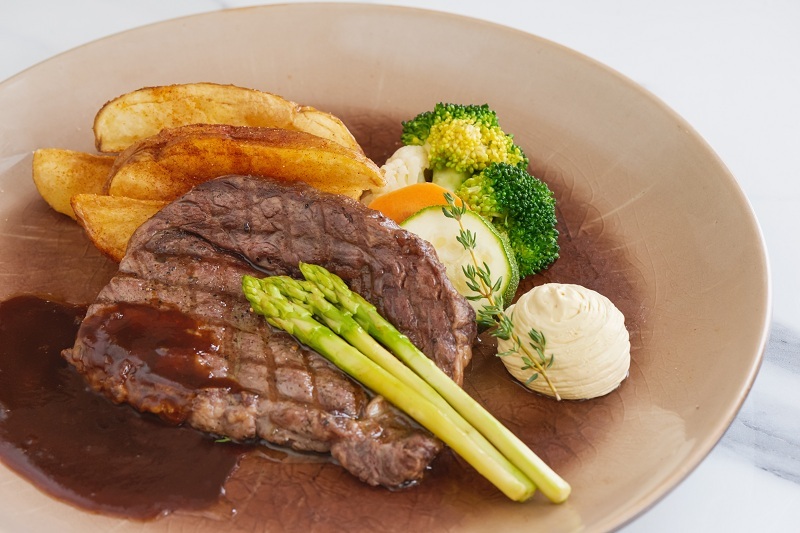 Steak lovers can also enjoy prime Australian beef, including char-grilled rib-eye steak with miso butter, and tenderloin steak with black pepper beef jus. All steaks are 250 grams and come served with thick cut potato wedges and steamed vegetables. These hearty new meat dishes are now available alongside Azure’s extensive selection of fresh seafood, which includes delicate sushi and sashimi, fresh shucked oysters, local inspired seafood curries, pan-seared scallops, grilled salmon and sublime sea bass. Dinners seeking a unique culinary experience can now sample Azure Beach Lounge’s “Hot Rock” seafood selection. With a choice of seafood steamed to perfection at the table on super-heated river stones, these dishes deliver pure culinary theater. Options include lobster steamed in Japanese saké, plus a choice of sea bass, clams, oysters, squid or prawns steamed in rice wine with delicate Asian herbs. 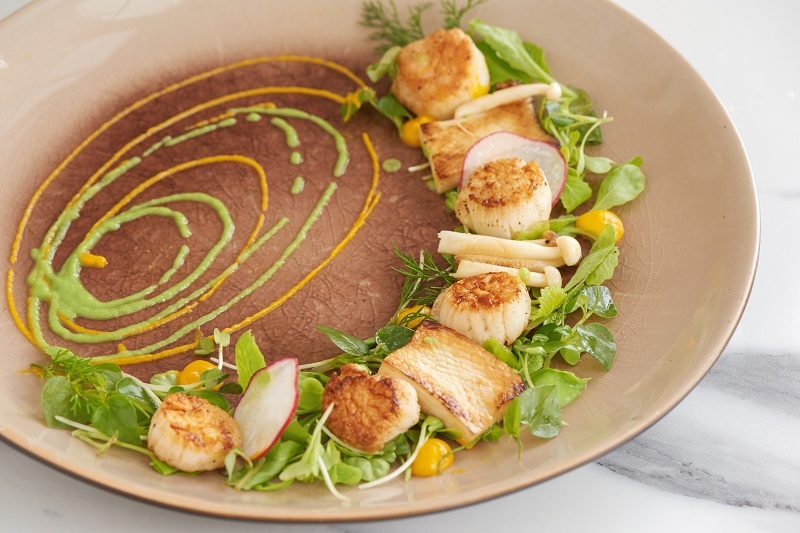 Dramatic, delicate and delightful on the palate, our seafood Hot Rock provides a wonderful for every occasion. 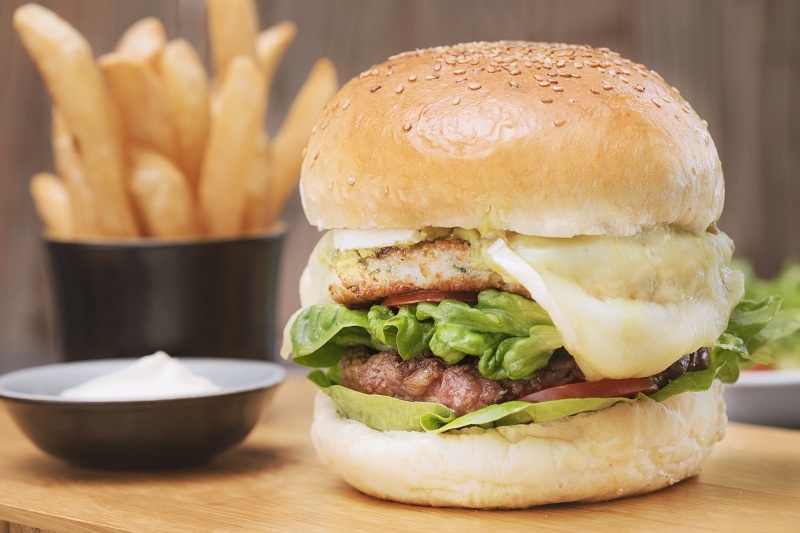 Diners can also choose from a wide range of salads and sandwiches, including the hotel’s signature double-decker lobster and wagyu beef “surf n’ turf” burger, and a unique Vietnamese pho burger. All these delicacies can be accompanied by an extensive selection of drinks, including fine wines, cold beers and creative cocktails. 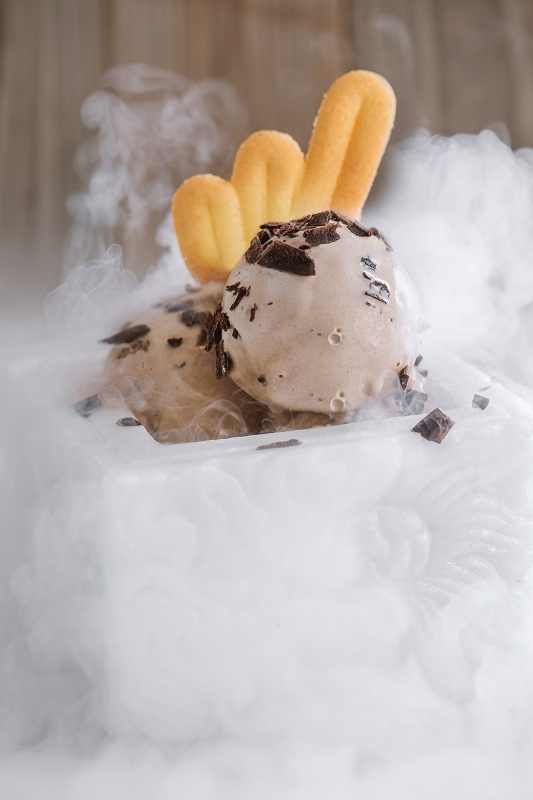 Azure Beach Lounge also remains the home of Pullman Danang Beach Resort’s signature “Liquid Nitrogen Ice Cream”. These dramatic, daring desserts come in a variety of tempting flavors, from “Classic Vanilla Bean” and “Very Berry” to local favorites including “Vietnamese Coffee”, “Danang Durian” and “Triple Coconut”, creating a wonderful display of culinary theater to end an exquisite, artistic dining experience. 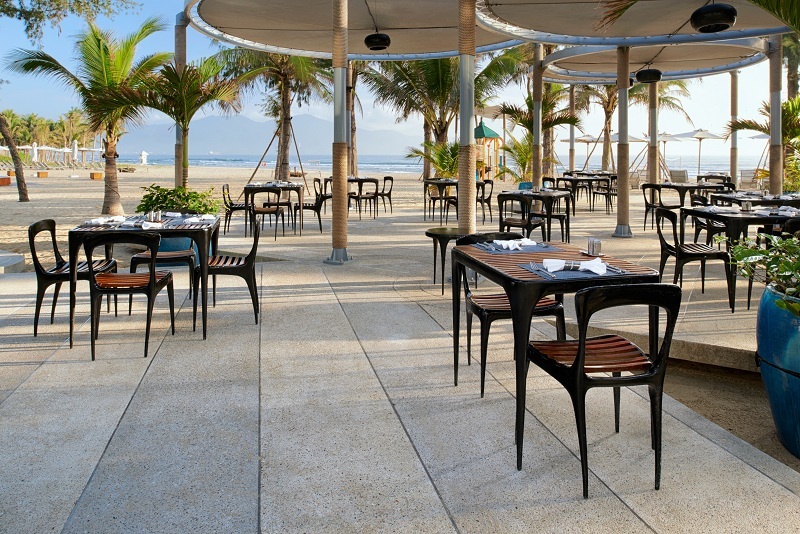 To find out more about the dining concepts available at Pullman Danang Beach Resort, please telephone us on +84 236 395 8888 or email bookings@pullman-danang.com.